American Express is a leading powerhouse in providing credit cards to eligible participants with multiple cards designed to accommodate the big spender or the average everyday consumer. Among the wide variety of credit card options to choose from, cash back credit cards have become increasingly popular. 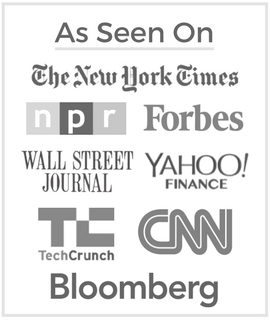 Included, the American Express Blue Cash Everyday® Card is increasing in popularity. The major asset of the Blue Cash Everyday® Card from American Express is its cashback rewards on eligible everyday purchases. There are several different rates associated with several different types of purchases that the average consumer makes each week. The largest cashback reward returns 3% back on purchases made at a supermarket in the United States; the rate holds at 3% for the first $6000 of purchases within a year which then converts to a 1% rate for the remainder of the year. Cardholders receive 2% cashback on purchases made at a U.S. gas station or select U.S. department stores. Finally, there is a 1% cashback rate on all other general purchases made by the cardholder. The special offer of the Blue Cash Everyday® Card involves a $200 credit return on the first $1000 in purchases made within the first three months of membership. This equates to a %10 introductory cashback rate for the first three months which is over three times the rate of the maximum general cashback rate. The allotted cashback rewards can be tracked easily through the cardholder account online, and the cashback is received in the form of Reward Dollars as a statement credit. Cardholders have the option to request additional cards for a friend or family member which is meant to accelerate the process of building cashback rewards. American Express offers basic travel benefits for all of its cardholders which the Blue Cash Everyday® cardholder are not excluded from. A Roadside Assistance Hotline is provided to help cardholders reach desired roadside emergency services. Cardholders need not worry about signing a car rental coverage waiver because American Express provides Car Rental Loss and Damage Insurance. Travel Accident Insurance provides coverage for expenses in light of a common carrier accident involving a plane, boat, or train. Finally, the Global Assist Hotline offers advice to cardholders in search of emergency, legal, or travel services in foreign or unfamiliar areas. In addition to travel help, American Express provides general shopping guarantees to its cardholders; the first being Extended Warranties on eligible products. There is Purchase Protection for eligible purchases which covers them in the event of loss or damage within 90 days of the transaction. Return Protection involves a full refund for a product return despite refusal by the retailer. And, finally, there is dispute resolution for when fraud purchases are involved. 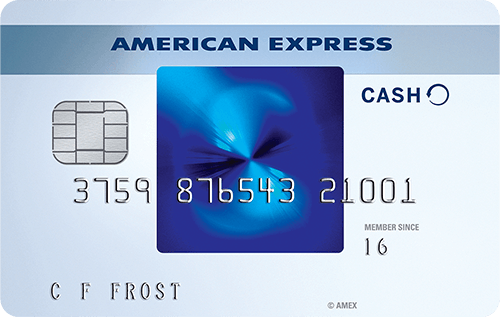 There is no annual fee tacked onto the American Express Blue Cash Everyday® Card as well as no overlimit fee. There are several transaction fees; for instance, the balance transfer and cash advance fees are the same: either $5 or 3%. In addition to the transaction fees, a 2.7% fee on all foreign transactions is applicable. The penalty fee for a late or returned payment amounts to a max of $37. The card offers an introductory APR of 0% on regular purchases and balance transfers during the first 15 months with the card; afterwards, this rate becomes anywhere between 13.99% – 22.99%. The cash advance APR varies around 26.24% while the penalty APR is 29.99% when applicable. Interest will be applicable on all cash advances or balance transfers on the transaction date; interest will not be charged on purchases so long as the balance is paid before its due date. The Blue Cash Everyday® Card offered by American Express provides a good way to build cashback rewards from buying necessities that otherwise yield no extra monetary benefit. This is another basic card offered by American Express that can satisfy the general consumer in the effort to build credit and rewards.